(2012.201.B0225.0295, Oklahoma Publishing Company Photography Collection, OHS). After holding political offices during seven decades, U.S. Rep. Wilburn Cartwright called himself "the most elected man in Oklahoma government." He was born on a farm near Georgetown, Meigs County, Tennessee, on January 12, 1891, the son of Jackson Robert and Emma Baker Cartwright. In 1903 he moved with his family to near Wapanucka in the Chickasaw Nation, Indian Territory. He attended public schools at Wapanucka and Ada and the State Teachers College at Durant. His siblings were Floyd, Gerty, McKinley, Shafter, Dewey, Cecil, Keith, and Clifford (Buck). The last two were also state legislators. A great-great uncle, Peter Cartwright, had defeated Abraham Lincoln in an Illinois legislative race. Oklahoma Attorney General Jan Eric Cartwright was a nephew. From 1914 to 1926 Cartwright taught in the Coal, Atoka, Bryan, and Pittsburg County schools. He was also a summer faculty member at the college in Durant. A Democrat, he served in the state legislature, first in the Oklahoma House of Representatives (1914–18) and then in the Oklahoma Senate (1918–22). He also studied law, being admitted to the Oklahoma bar in 1917 and commencing practice in McAlester. During World War I he was a private in the Student Army Training Corps at Norman. He graduated from the University of Oklahoma College of Law in 1920 and conducted postgraduate work at the University of Chicago. During 1921–22 he was a vocational adviser for disabled veterans in McAlester. From 1922 to 1926 he was superintendent of schools at Krebs. On June 6, 1920, Cartwright married Carrie Staggs, a piano instructor at OU. She was the daughter of Mr. and Mrs. Tom H. Staggs of Enid. The Cartwrights had two children, Doralyn Emma and Wilburta May. Cartwright ran unsuccessfully for the Third District Democratic nomination for Congress in 1922 and 1924. In his first congressional election he bought a car and drove with his wife throughout the district trying to reach potential voters. He frequently met them as they helped free his car, which was stuck in a muddy road. In his speeches he said that if elected, he would get on the Roads Committee and remedy the road problem. He finally received the nomination in 1926 and won the general election, gaining him a seat in the U.S. House of Representatives. Cartwright served in Congress from March 4, 1927, to January 3, 1943. He sat on the following committees: Indian Affairs; War Claims; Election of President, Vice President, and Representatives in Congress; Insular Affairs; and Roads. Because of his early experiences with automobiles, he worked hard in this last committee. In 1933 he became its chair, a position he held through the remainder of his congressional career. With Sen. Carl Hayden of Arizona, he authored the Hayden-Cartwright Act, a key law in the financing of the U.S. highway system. He was also involved in legislation affecting American Indians and in granting independence to the Philippines. The congressman supported the New Deal public works projects in his district. He and Sam Rayburn of Texas secured the construction of the Denison Dam across the Red River. In 1939 and 1940 this brought him into conflict with Oklahoma Gov. Leon "Red" Phillips, who opposed the project and unsuccessfully sued the federal government to prevent it. In 1942 Cartwright lost the Democratic primary to Paul Stewart, and when Cartwright left Congress, the United States was fighting World War II. He immediately joined the U.S. Army, serving as a major in the Allied Military Government in Africa and Italy from 1943 until injured in combat. He returned to the United States in 1945 and became an instructor at Fort Custer, near Battle Creek, Michigan. He was employed with the Veterans Administration at Muskogee, Oklahoma, in 1945–46. In 1946 Oklahoma voters elected Cartwright as secretary of state (1947–51). In 1950 they chose him as state auditor, to begin in 1951. In 1954 he resigned, and Gov. Johnston Murray appointed him to the Oklahoma Corporation Commission. He won his commission seat in the elections of 1954, 1960, and 1966, serving to 1973. In 1970 he failed to gain the Democratic gubernatoria1 nomination. In his last election in 1974 he ran unsuccessfully for the Democratic nomination for the U.S. Senate. During his later service in state government, Cartwright resided in Oklahoma City. His wife, Carrie, died there in 1969. 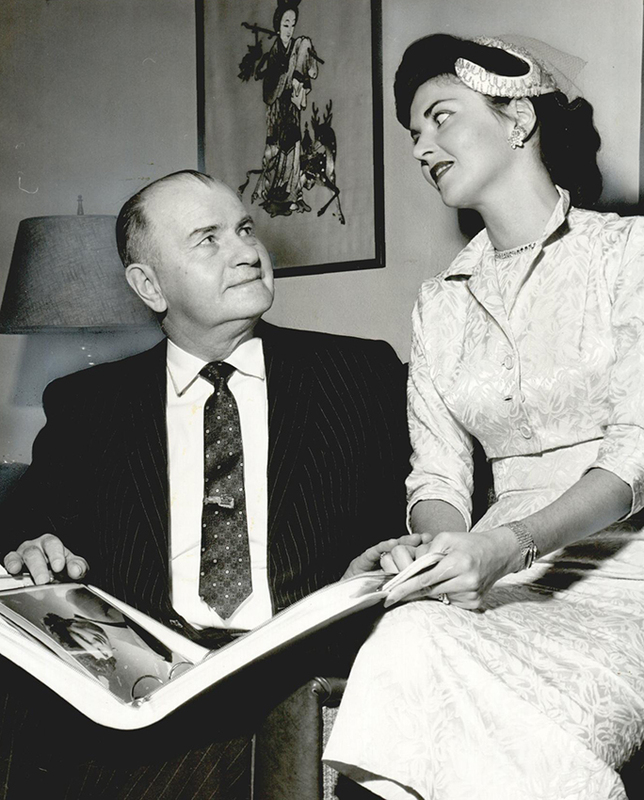 He remarried in 1970 to Coree Andrews, an Oklahoma City businesswoman and owner of Adams Engineering Company. The former congressman and state official died in Oklahoma City on March 14, 1979, and was interred in the IOOF Cemetery in Norman. Biographical Directory of the American Congress, 1774–1996 (Arlington, Va.: CQ Staff Directories, 1997). Wilburn Cartwright Collection, Congressional Archives, Carl Albert Congressional Research and Studies Center, University of Oklahoma, Norman. Daily Oklahoman (Oklahoma City), 15 March 1979 and 30 April 1985. Elmer C. Hess, comp., Official Congressional Directory, 2d ed., 70th Cong., 2d sess. (January 1929). Gaston Litton, History of Oklahoma at the Golden Anniversary of Statehood, Vol. 3 (New York: Lewis Historical Publishing Co., 1957). Todd J. Kosmerick, "Cartwright, Wilburn," The Encyclopedia of Oklahoma History and Culture, https://www.okhistory.org/publications/enc/entry.php?entry=CA068.